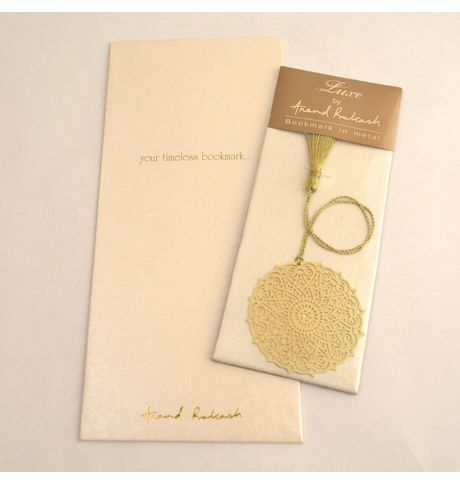 Intricately-cut brass metal bookmark with a matching tassel. Dimensions: Height x Width: 5.71 cm x 5. 71 cm Cancellation and Return Policy: Refund Policy: • Goods once sold cannot be refunded.